It’s fun, fast-paced and totally unique! 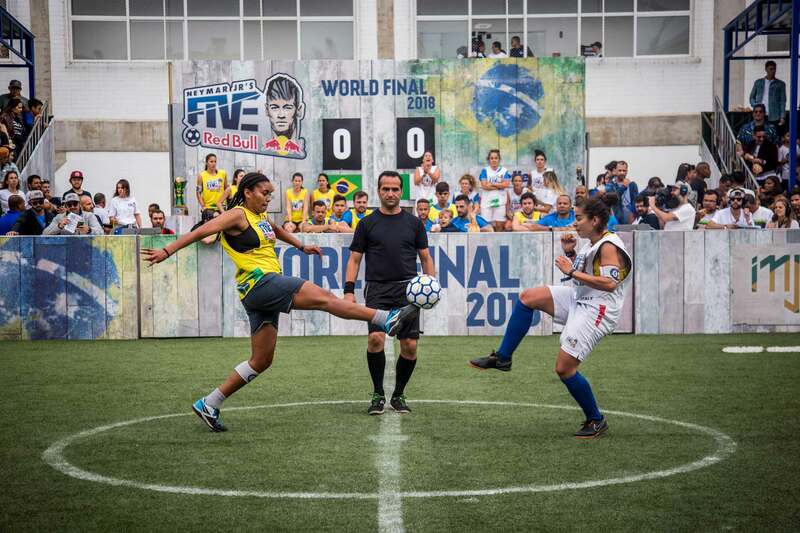 Returning for its fourth year, Red Bull Neymar Jr’s Five is the world largest five-a-side tournament. The unique format, which was dreamt up by the Brazilian superstar himself, sees games only last ten minutes and teams lose a player every time they concede, so to win – you’ve got no chance but to outplay them all! Following the resounding success of the inaugural women’s competition last year, four more all-women’s qualifiers have been added to the UK calendar. The tournament is all about having fun with friends no matter the level of skill or ability, so if you’re thinking about getting into football look no further than Red Bull Neymar Jr’s Five. Winners of the regional qualifiers will then go onto the national finals in June, with winners of that then heading over to Brazil for the world finals in July, where teams from over 40 countries will battle it out to be crowned world champions under the watchful eye of Neymar Jr himself. Winners also have the tantalising prospect of facing Neymar and co. in an exhibition match at the end of the tournament. Players must be between the ages of 16-25 to participate, although two players out of the maximum seven per squad can be over 25. If you think you’ve got what it takes, head to redbull.co.uk/neymar and sign up now!